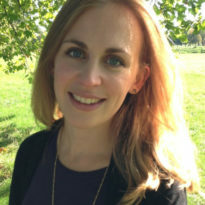 Anna is ESRC Innovation Fellow at the CEP. She received her PhD in economics at the LSE in 2018. Her research is focused on the drivers of productivity and innovation, and in particular the role of skills and universities in explaining differences in economic performance between firms and regions. Anna has also been working on UK productivity and industrial strategy more broadly, and in 2017 was a research director for the LSE Growth Commission. Previously, Anna was a manager at Deloitte’s Economic Consulting practice.